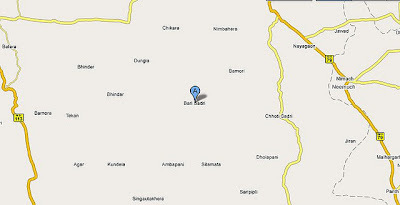 In photo shown are the nearby villages of barisadri. I liked the sites and got some memorable moment of my childhood by seeing mornign at Bari Sadri. I thinks most popular name I could not found. Like Nim Par, Bazaar etc.